Bathroom products have come a long way over the past number of years and the humble toilet pan has been some of the largest developments of all. 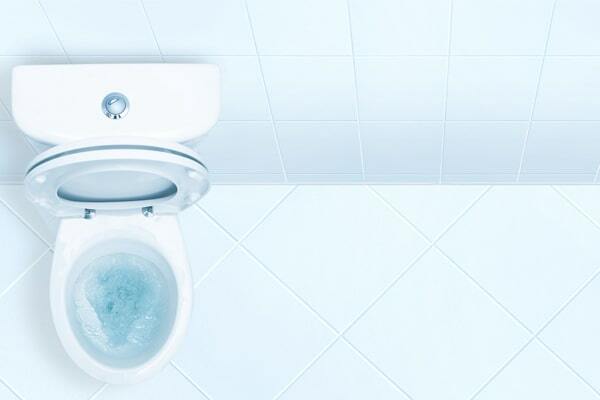 Terry Nguyen explains that when it comes to toilets pans and flushing sizes, one size does not fit all and finding the perfect match is a must. Ultra-modern toilet pans are almost unrecognisable from their predecessors in all facets: looks, functionality and performance. Toilet pans are now able to perform an effective flush using far less water thanks to the design advancements in shape and size of the flush bowl and the profile in which the water flows through. The drawback of these cleverly engineered flush profiles is that they generally have a higher susceptibility to compromised performance when set up with incorrectly matched flushing devices. of water is quite small, the pan must efficiently clear the contents of the bowl quickly where there is a residual amount of water following the waste to carry it to the sewerage network. For a toilet pan to operate at its maximum efficiency it requires water to be delivered to it at the rate and pressure that it was initially designed and tested for. The flow rate and pressure changes the way water is dispersed around the rim to correctly cascade down into the bowl in the right locations. If not correct, the pan’s performance can be severely affected. Insufficient flow usually means that the front of the rim is starved of water, and aggressive flow often results in water splashing onto the bathroom floor. New style rimless toilet pans can be particularly sensitive to incorrect flush conditions. Flushing pressures and rates are controlled by the cistern, (or electronic valve) that the toilet pan has been matched with. For close coupled suites, the cistern is mounted on top of the pan and would have been perfectly matched by the manufacturer during design. The matching task increases in complexity for wall faced, or wall mounted toilets which need to be connected to a separate flushing device, typically from a third party manufacturer. Historically a discharge flow rate of 1.4 litres per second has been the number that cistern manufacturers have worked to. More often than not, this flow rate is still adequate and suitable for a lot of pans on the market. In more recent times the evolution of bathroom design with greater emphasis on beauty and practicality in high density urban developments has seen a shift in toilet pan design. Smaller bathrooms promote the demand for smaller wall faced or wall mounted pans using the space in the wall to house the matched flushing device. Rimless toilets, new to our market, have a narrower tolerance in flow delivery requirements than a typical boxed rim toilet pan. Such pans have a lower margin for error and therefore some regulate inlet flow by the inherent hydraulic design of the pan. While this may aid in the toilet pan flushing performance it can sometimes create a situation where the cistern is unable to function correctly. Cistern performance can also be affected by the toilet pan it has been matched with, where the hydraulic back pressure from the inlet of the toilet pan is able to vary the discharge volume. The discharge or outlet valve of the cistern is designed to operate under a particular set of conditions to ensure that it consistently delivers the correct amount of water during a flush. Leading manufacturers have teams of design engineers tasked with ensuring a device can be made as flexible as possible, allowing the cistern to be matched with a vast range of toilet pans in various set up situations. There are instances however, where the hydraulic design of pans can alter the internal behaviour of the flushing device (including electronic valves) where incorrect or inconsistent volumes are discharged. PROVE has seen instances where flushing devices can deliver too much, or too little water when coupled with a pan outside of the device’s operating capability. If a toilet does not appear to be flushing correctly, there is a possibility that the combination of flushing device and toilet pan has not been correctly matched. Under WELS legislation, plumbing merchants are required to ensure products sold are fit for purpose and meet all performance requirements and water efficiency standards. This means that purchasing a pan/cistern combination together at a single retailer should be a safe bet, as opposed to procuring the items separately. When in doubt, it is best to request confirmation from the merchant and/or manufacturer as to whether a particular combination is a suitable match and performance has been verified. Matching a pan and flushing device without validating its suitability is similar to blind dating; in that the combination may function, but there is no level of confidence that the relationship between the two was ever going to work harmoniously.